Royal Pharmaceutical Society Museum | Museums London — FREE resource of all 200 museums in London. 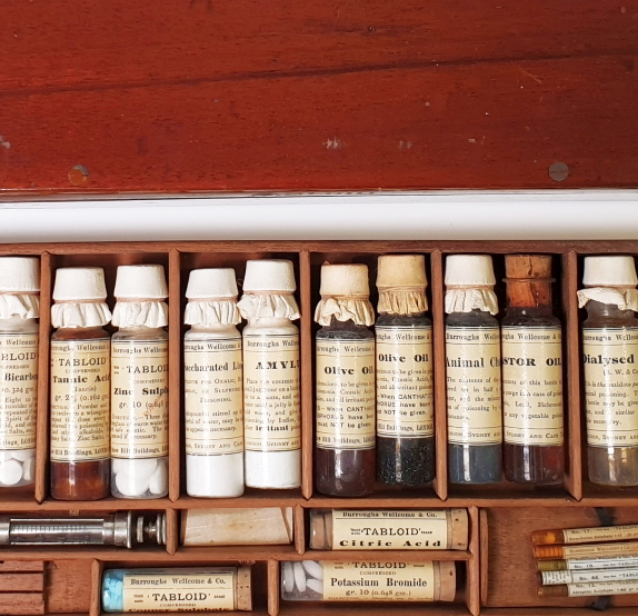 The Royal Pharmaceutical Society Museum, established in 1842, provides a wide range of services and activities for everyone interested in the history of British pharmacy. The Royal Pharmaceutical Society Museum is an absorbing museum founded in 1842 as a scientific collection of materia medica for use by pharmacy students. The museum moved to its current site in Lambeth in 1976. The museum provides a wide range of services and activities for anyone interested in pharmacy. It contains a unique collection of around 45,000 objects covering all aspects of the history of British pharmacy, including traditional dispensing equipment; drug storage containers (including fine 'Lambeth delftware' jars from the 17th and 18th centuries); proprietary 'brand name' medicines dating from the 18th century to the present day: bronze mortars; medical caricatures: and a photo archive. The ground floor area contains displays on themes of The Evolving Pharmacy and Lambeth's Pharmacy Past. which reveal how pharmacies have changed over time. Other displays focus on unusual medicines, such as 18th-century seahorses and antique equipment used to make and store drugs. There's also a rotating exhibition on the Developing Treatments theme, which focuses on the way that different medical conditions have been treated over time.